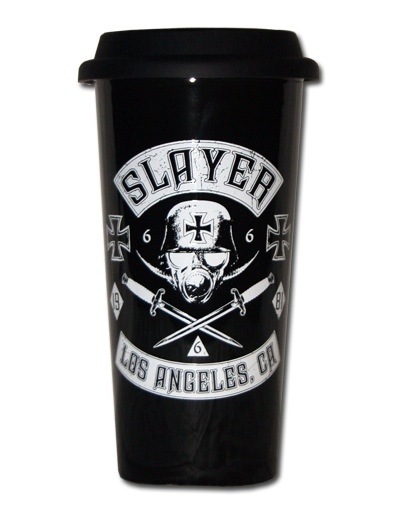 Most Metal Cup Ever – Slayer Travel Mug! Slatanic Porcelain Travel Mug holds 16oz of your hot or cold beverage! Microwave and Dishwasher safe with a silicone lid and stopper. This mug can also withstand temperatures up to 400 degrees Fahrenheit! I love the way they try to metal up a porcelain mug by telling people about the temperatures it can withstand. Of course, the Slayer fan’s mouth can do the same!